From Jackson, Mississippi along more commerce-free highways lined with lush foliage to Selma, Alabama. 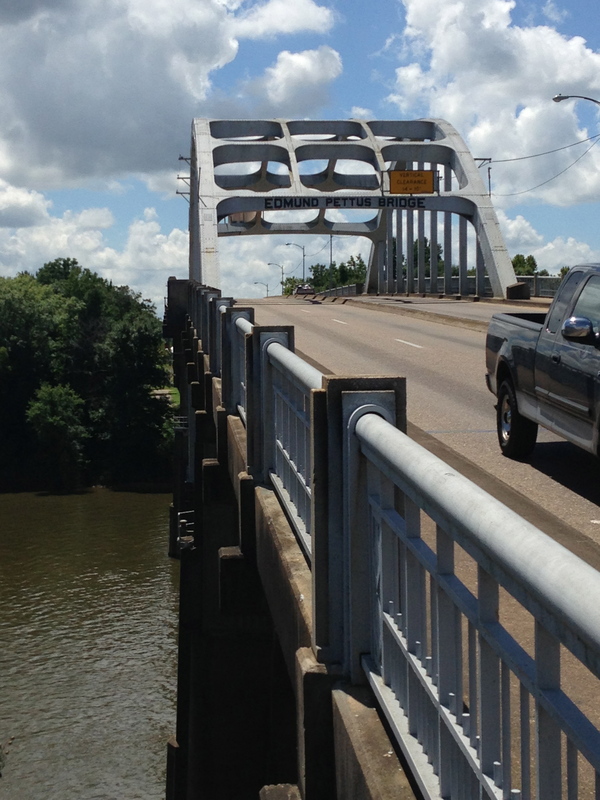 I stopped on the far side of the bridge across the Alabama River where the memorial to the 1963 march stand. The images of the marchers made a big impression on me when I was young and made an even bigger impression on me a couple of years ago after watching the excellent documentary, “Soundtrack for a Revolution.” The footage of John Lewis, standing at the head of the marchers, staring at the national guards about the charge them, made me shiver. 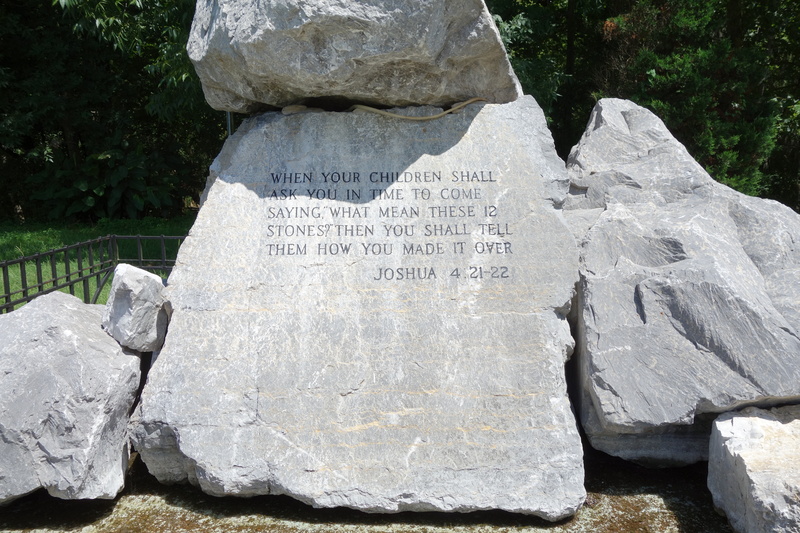 On a small stone to the right are engraved some of the names of the movement’s martyrs, including Medger Evers, Andrew Goodman, Michael Schwerner, and James Chaney.